This sweater dress is perfect to elevate your look. 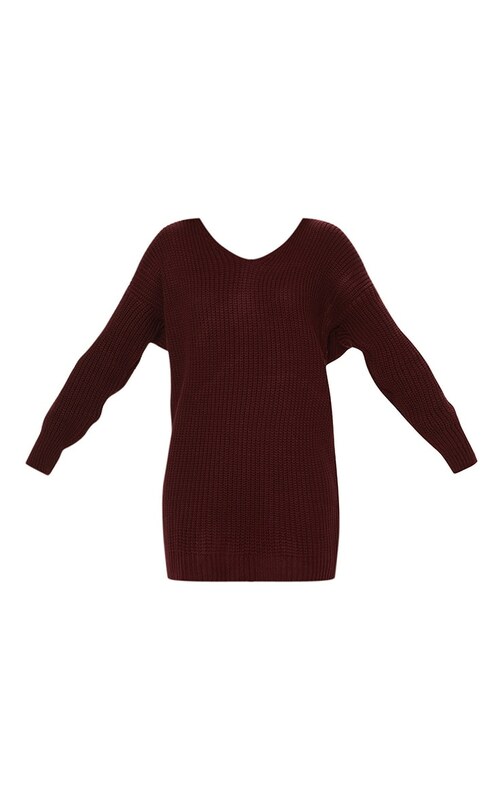 Featuring a burgundy knit material with a V neckline and a twist front detail. Team this with heeled sock boots and a clutch for a day to night look.